Over the years I have tried many different things to lose weight and to get in shape, without much success. Since joining PTI, I have started to find myself again. I have a very active family, and I now participate instead of watching from the sidelines because I felt I couldn’t do the things they were doing. 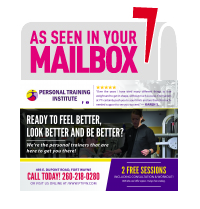 The Trainers at PTI certainly push you to your limits and are there for much needed support to see you succeed. The Nutritionist has taught me how to eat properly again. That my habits will always be with me – it’s how I deal with them that is important. PTI has been a winning combination for me. No matter the pounds and inches lost, the most important thing to me is they have given me back the confidence in myself and I am a capable person.